Where on one hand the robots are replacing, many of us are sitting in front of our computer systems waiting for the tortoise to win the race. After the multiple clicks and numerous pats, calling a professional or buying a new computer system might be the most tempting way to get things fixed but there is something else that you may give a try. What follows are the 10 ways by which you can give a new breath to you slow PC and turn your tortoise into a hare (no, not the sleeping one). The easiest and fastest way to boost the speed of your PC is by switching into a brand new user account that has none of the clutter you fancy in your main account. To make a new account go to your Control Panel and select the Add/remove user account from the User Account and Family Safety option. If you use your system as a television or to download large chunks of film videos then move to a hard drive of more than 1 TB in size. You can find many easy tutorials online that will guide you how to install a new drive in your system. There are many programs on your computer that you never use and to be honest half of them don’t even know you exist. Some of these programs even run in the background when you load the computer and slow down the process. To remove the clutter, go through the installed software on your control panel and delete the ones you don’t even look at. Might sound impractical, but the thick layer of dust particles you find on your Computer Hardware and Peripherals impede the airflow and lead to the overheating of your PC. Hoovering off the dust particle will extract the dust particles and will save the computer from overheating due to blocked paths. RAM or the Random Access Memory is the temporary storage that your computer needs to execute different programs. As you run more programs, more RAM is needed by the computer and the system gets slow if the RAM is not enough. Therefore, to ensure the smooth & hassle-fee working of your system it is recommended to increase the RAM capacity to 4GB. 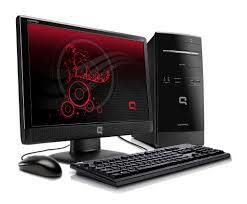 Defragment of your files reconfigure how you hard disk save the information. The defragmentation of data is done to ensure the maximum productivity of the system. To defrag your data right click on the drive, select properties and select the defragment now option from the Tools. Temporary files fill your computer with a large number of unnecessary files that cover a significant space of your disk. Getting rid of these temporary files can free up space and give a kick to the speed of your PC. Cheers to the people who made it till her despite their PC’s constant mood swings; we hope that the tips will help. By – Ankit Gupta is a computer and internet expert working for Exportersindia.com, one of the renowned B2B portals bringing together the players in computer Industry.He has written various articles on computer industry, Internet, Networking, computer hardware, computer software etc.